Global Citizenship: a Utopian Idea? “Global citizenship: a utopian idea?” was the subject of the annual meeting of the Italian Federation of the Sisters of St. Joseph. It was organized by the Justice and Peace Committee and took place in Turin, November 15, 2014, with about one hundred participants: sisters, lay collaborators and friends, persons interested in the topic. There were also some students from our schools who posed many questions (“What influence can we have on a large organization like the U.N.?”) and expressed their hopes. 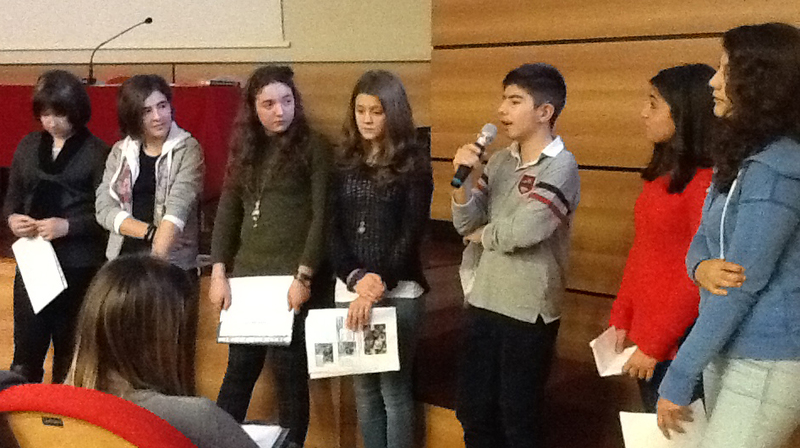 During the morning we listened to Sister Maria Grazia Caputo, the NGO representative at Geneva for the Salesiansisters. She communicated her passion for the promotion and the defense of the rights of the individual person, especially infants and adolescents. Using clear language she competently introduced us to the complex organization of the U.N. offices in Geneva, Switzerland, where decisions are made concerning what will happen to entire populations and deals with human rights issues in different countries. In fact, this intense day was very concrete. In the afternoon, Sisters Gabriella, Graziella and Nicoletta presented the experience they had at Brentwood, NY, which raised their awareness of what is being done for so many of our brothers and sisters. The Commission gathered information on the apostolic work and social work which is done by the sisters of the Italian Federation in regard to four topics: poverty, women, children and care of the planet. We did not discover new activities or experiences but immediately we were able to perceive the providential love of God who directs history, awakens positive energies, calls humble workers to be signs of the divine presence and care for the suffering. The assembled group was encouraged in their desire to generously renew a choice for the poor and the defense of their rights. This they did in spite of the difficulties of rapid changes and a globalization that risks becoming less than human, unless it is animated by love. The witness of a few immigrants and one volunteer gave us insight into a structure where, thanks to some sisters and many laity, we are moving toward a real integration among brothers and sisters who are very different from one another. Soon the volunteers will receive other sites from the Turin city hall and those present were invited to help furnish them.